Looking for a pain-free way to buy an MRI? While it seems that buying a refurbished MRI at is a no-brainer: getting high quality equipment at up to 70% off the price of new equipment… it’s not. Shopping for an MRI is not easy. Once you begin the process, you’ll quickly learn that it can be a time-consuming, difficult and an inherently risky task. Finding a company you can trust is paramount in reducing the risk you face. Our customers tell us about their previous deals that have gone bad… so much money and time lost. The tell us they want reassurances instead of empty promises. They are looking for someone to take the pain out of buying a refurbished MRI machine. At Providian Medical, we realize that if you want to be the best, you need the best processes. You need to have procedures that ensure a virtually risk-free and pain-free way of buying a used MRI Scanner. So, we created detailed procedures, including multiple third-party inspections of the equipment. We also voluntarily follow FDA restrictions and guidelines on every MRI Scanner we buy, refurbish, or resell. We’re doing more than just giving empty words and empty promises. We give our customers what they demand: something more than a website’s claims and a salesman’s pitch. Why is Providian Medical different? We are an FDA Registered medical device company. This is NOT required for any refurbished MRI dealer, it’s something we do voluntarily. There’s no better way to prove to our customers that we’re serious about providing a quality product. It provides peace-of-mind and assurances that our customers are not alone. But does that really prove anything? Yes. Because our registration with the FDA means we must strictly follow all of the FDA’s quality assurance standards. By conforming to the FDA’s standards, we cannot and do not buy or sell equipment that can’t pass the FDA standards. 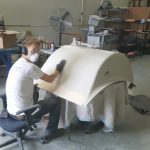 We have specific processes and we use factory-trained engineers to inspect, de-install, remanufacture, install, test and train customers on every MRI machine we sell. Does this make our job harder? Absolutely. But every one of our customers knows that we can’t and won’t make empty promises to them. We’re serious about our jobs. We’re serious about reassuring our customers that their new MRI is in good hands. 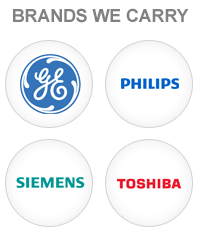 Do you know how many other companies can say this? Not many. Full Service Turnkey, or a la carte? accreditation from the American College of Radiology (ACR). This can be a painstaking process for us, simply because sometimes we’ll never get past Step 1 with an MRI machine. If it doesn’t pass our initial rigorous inspection, we walk away from that system, no matter good the price looks. 1Inspection: Every MRI unit we consider for purchase goes through a rigorous pre-purchase inspection. This is a key step… a historically problematic MRI system will likely cause headaches in the future. Sometimes today’s “bargain” is tomorrow’s “wish I hadn’t done that”. 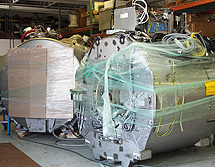 3Remanufacturing/Refurbishing: The MRI machine is disassembled down to its component level and fully tested. 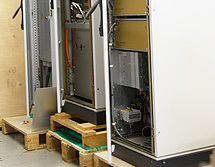 Each component is accepted, repaired, or replaced to meet manufacturer’s specifications. 5Financing: Our leasing experts can help you get the best rates quickly and easily. 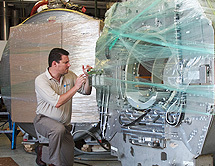 6Logistics: The MRI is carefully packaged and shipped to its destination, installed, and tested. 9Accreditation: Technicians have the MRI accredited by the ACR. 10Applications and Training: Applications specialists train the facility’s technicians on their new MRI imaging machine. 11Warranty: Every Providian Medical MRI machine is fully warranted and covered by Providian Medical. 12Extended Service Coverage: Providian Medical offers significant savings over the manufacturer on service contracts. However, because the MRI has been re-certified, the manufacturer will also offer its own extended service contracts. The choice is yours. 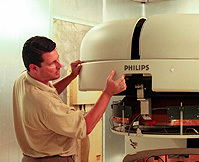 Providian Medical specializes in refurbished MRI systems from a variety of different manufacturers. Providian is an FDA-registered medical device company and must comply with the strict standards of the Food & Drug Administrations high quality assurance standards. Providian is one of the only companies operating in the secondary MRI market that can make this claim, and Providian has adhered to these standards since 2004.